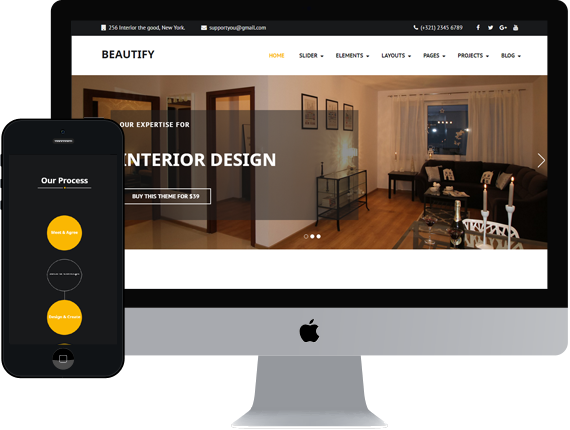 Beautify is a unique and flexible WordPress theme for interior and architecture businesses. It helps you creating visually stunning and unique website just like your interior design service. It has highest quality code that play well with other popular plugins. It is WooCommerce ready theme and it is easy to sell your stuff. It has responsive design and looks beautiful on variety of devices.